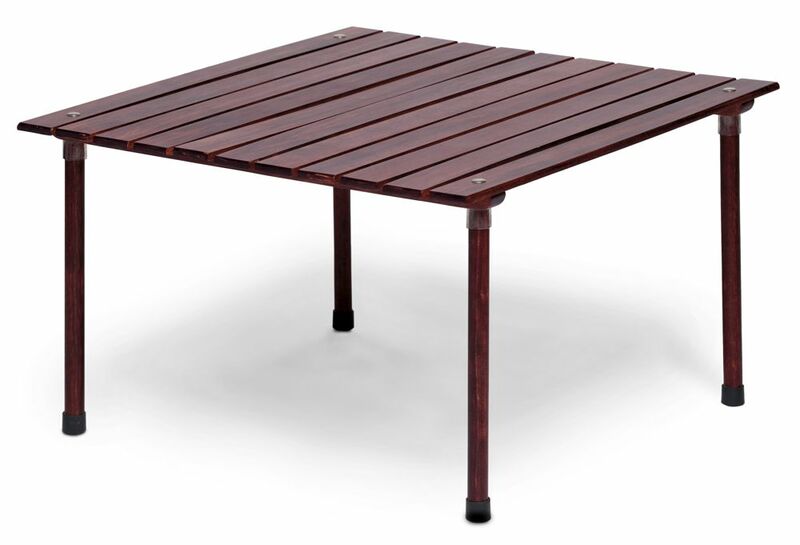 Foldable and packable roll out poplar hardwood table. No tools required. Table top: 69cm W x 42cm H x 67cm D. Excellent client gift.